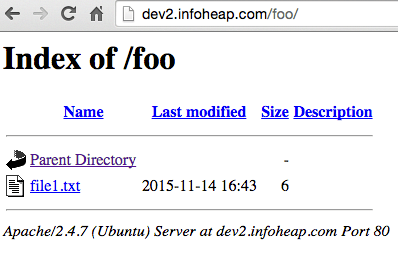 Apache 2.4 on Ubuntu Linux has directory listing enabled by default. In case you are upgrading from apache 2.2 or creating a new site, you may want to disable it. We’ll use Ubuntu linux for the purpose of this tutorial. Note that your config and directory location may be different from this example. You may need to follow the instructions appropriately.